The Whitlam Government saw education as the fundamental ingredient for equity and opportunity in society, and it was a core area of reform activity for the Whitlam Government. It was in this field that some of the Whitlam Government's most iconic reforms were enacted, including the abolition of university fees, the granting of ‘state aid’ to independent schools, and the creation of the Schools Commission. Equality of access to education was the fundamental principle behind each of these measures. In his 1969 campaign launch Whitlam argued that, “When government makes opportunities for any of the citizens, it makes them for all the citizens. We are all diminished as citizens when any of us are poor. Poverty is a national waste as well as individual waste. We are all diminished when any of us are denied proper education. The nation is the poorer – a poorer economy, a poorer civilisation, because of this human and national waste”. From January 1, 1974, the Whitlam Government abolished tuition fees for students at universities and technical colleges. This policy replaced the Commonwealth Scholarship Scheme, whereby the Commonwealth government provided a fixed number of scholarships for students to attend university. The Whitlam Government also passed the Student Assistance Act 1973 to provide means-tested financial assistance for tertiary students. These reforms opened up access to tertiary education to those for whom it would otherwise have been out of reach, and created a precedent of universal access to higher education. 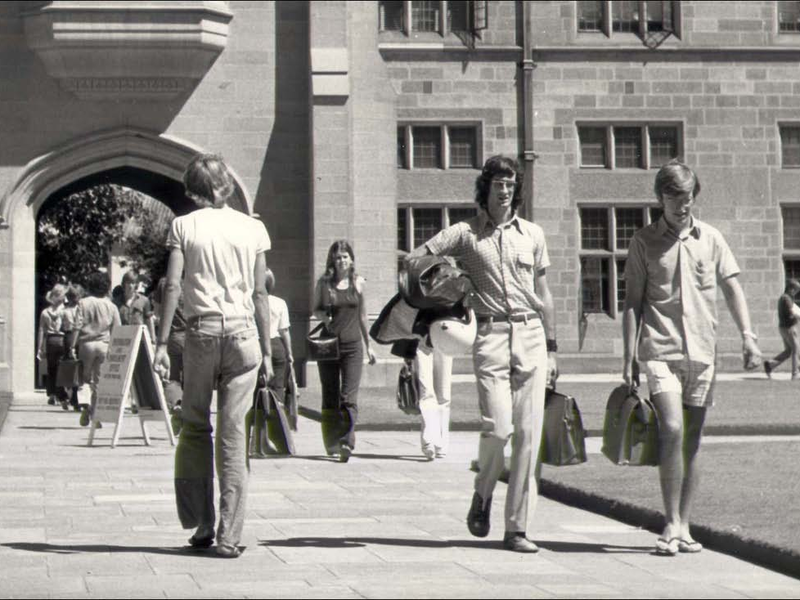 In 1974, the Whitlam Government established the Commonwealth’s full responsibility for university funding throughout Australia. Previously, funding had been distributed by state governments, although the Commonwealth had made increased contributions – providing a quarter of university funding by the early 1950s. The Whitlam Government significantly expanded Commonwealth funding of universities and provided additional infrastructure funding. For instance, a seeding grant was offered for the construction of Deakin University. Whitlam had long advocated the establishment of a university in Western Sydney, and indeed offered to the New South Wales Government for this purpose, but this commitment was later rescinded by the Fraser Government. Click here to learn more about Gough Whitlam's contribution to the foundation of the University of Western Sydney. For Whitlam, the differences in opportunity afforded to private and government school students was ‘morally unjust and socially wasteful’, and he argued that ‘no democratic government can accept this disparity’. One of his government’s earliest acts was to create an interim committee for the Australian Schools Commission, which delivered a report prescribing a framework for equitable education in May 1973. The States Grants (Schools) Act 1973 and the Schools Commission Act 1973 became law on December 19th, 1973, giving effect to this new system. The new system was designed to replace the ad-hoc basis upon which schools grants had previously been made, and the lack of long-term planning and inequality that resulted from this. Significant increases in funding were made available for the construction of new school buildings under the Whitlam Government and for other purposes. Under the Whitlam Government, spending on state government schools increased by 677%, and spending on non-government schools in the states increased by 117%. The Whitlam government introduced direct Commonwealth funding or ‘state aid’ for non-government schools. This put an end to a long-running political debate which was one product of the virulent sectarianism that had divided Australian society for decades. The debate over this issue within the Labor Party had seen Whitlam himself come within one vote of expulsion from the party in 1966. 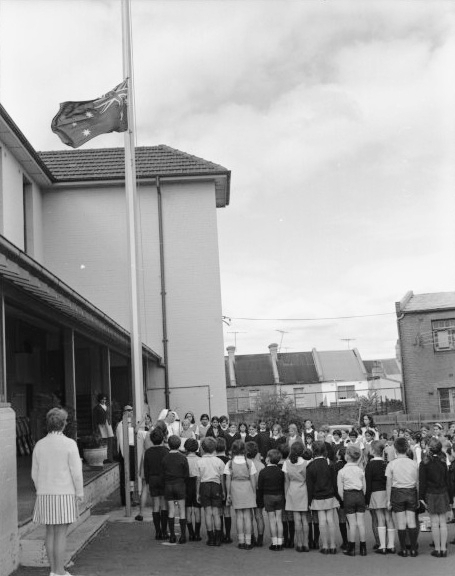 At the time the Whitlam Government took office, the financial pressures on the Catholic school system threatened its viability.